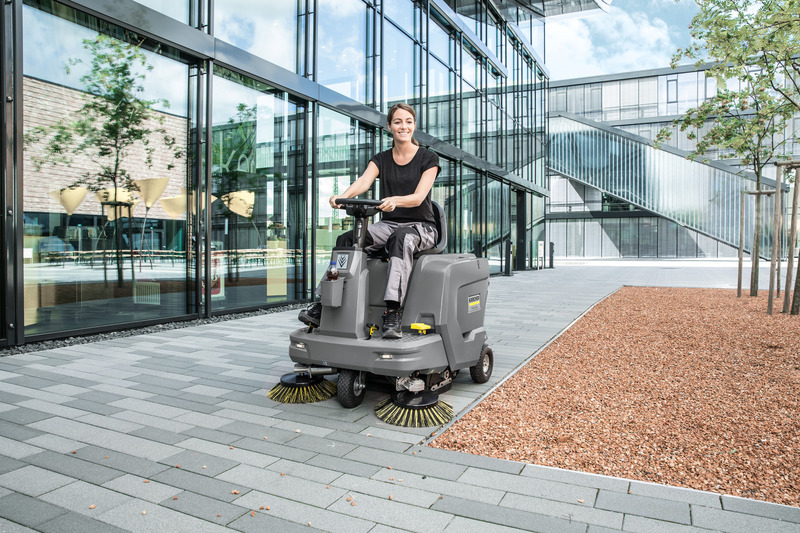 KM 85/50 R Bp 13511260 https://www.kaercher.com/tn/professional/sweepers-and-vacuum-sweepers/vacuum-sweepers-ride-on/km-85-50-r-bp-13511260.html With the KM 85/50 R, you are entering the world of ride-on sweepers. The machine is extremely agile and compact, easy to operate and boasts high area performance. With the KM 85/50 R, you are entering the world of ride-on sweepers. The machine is extremely agile and compact, easy to operate and boasts high area performance. The KM 85/50 R, our battery-powered ride-on sweeper, is perfect for confined and congested areas. 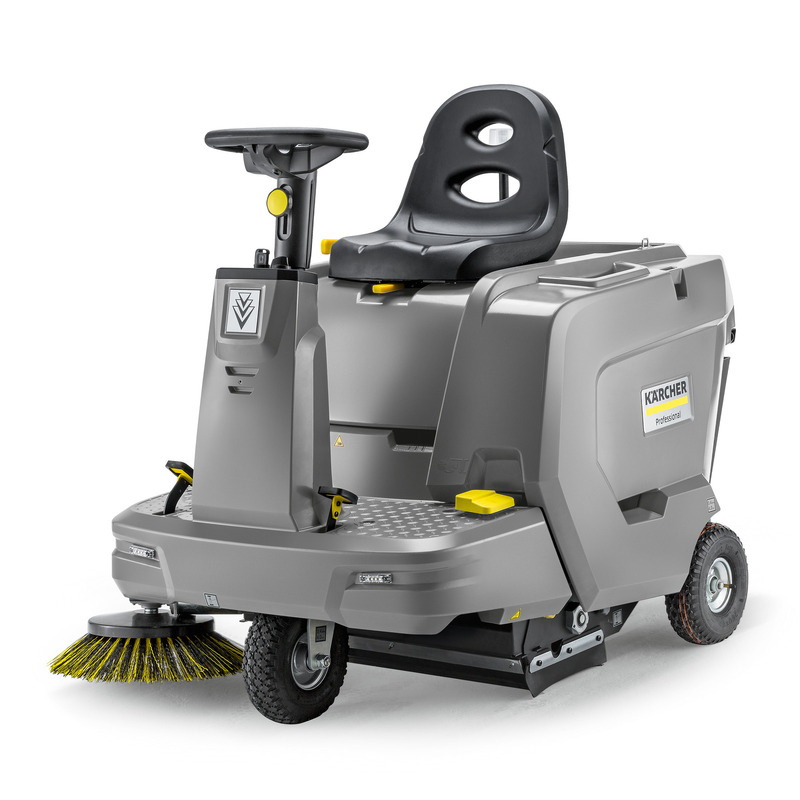 Its compact design and high level of manoeuvrability mean that cleaning work can be performed in any location where space is limited, corridors are narrow or there is a high number of corners. The fact that this entry-level model also boasts impressive area performance in outside areas is proof of its versatility and efficiency. The machine is also extremely easy to operate and maintain. Thus, for example, the large dust filter, which enables dust-free working, can be easily cleaned from the operating position. In addition, it is possible to access the components through a wide-opening cover and to change the floating main sweeper roller without tools. You can tell when it is time to change the roller on the wear indicator, which is easy to read from the outside. There is no need to make subsequent adjustments to the sweeping system – even sections of the floor that are uneven are always swept clean without any residue. The rotating side brush effectively prevents damage, while you can adjust its rotation speed where necessary. The integrated Home Base system also enables other cleaning utensils to be carried.